What Would We Mean by Realism? in Audio Visual Post-humanism. 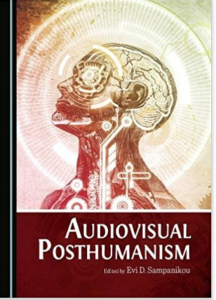 This volume deals with the challenges posthumanism meets as a successor to postmodernism in the field of artistic, literary and aesthetic expression. It also explores the ways social sciences and humanities are affected by posthumanism, and it asks how posthumanism can be an expansion of humanism in the contemporary world, rather than a transcendence of humanism. The chapters’ authors come from different countries, cultural backgrounds and study areas to present a varied perspective on posthumanism.